Free DEMO Version : The FREE Demo version of MS Word 2007 Recovery software will allow you to preview the content of the repaired MS Word files, but will not allow you to save the repaired files to your system. Previewing of the content is also limited to only a few sentences in the Demo Version. To save all the repaired files to your system, buy the Full Licensed Version of our software. Demo Version is a facility given to you for evaluation of our software before you buy it. "The document name or path is not valid. Try these suggestions..."
Purchase Now – Full Version: Full Licensed Version of Docx Repair Software ensures complete recovery. 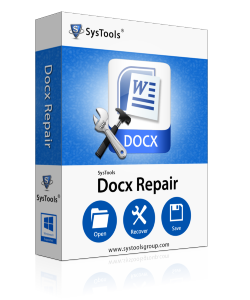 You can repair All your corrupted Word files (docx files) using the Full Version of our software. Need Any Help? Online Support staff is here to help you. If you face any trouble during the purchase of the software, while using it for MS Word 2007 recovery, or in understanding the features of Docx Repair tool, then immediately contact our Support team.